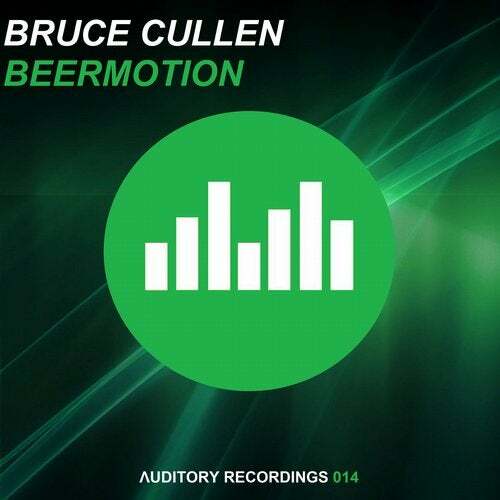 BruceCullen.Com is not responsible if information made available on this site is not accurate, complete or current. The material on this site is provided for general information only and should not be relied upon or used as the sole basis for making decisions without consulting primary, more accurate, more complete or more timely sources of information. Any reliance on the material on this site is at your own risk. This site may contain certain historical information which are definitely not current and is provided for reference only. We reserve the right to modify the contents of this site at any time without obligation on our end to update any information on the site. You understand and agree that it is your responsibility to monitor changes to the site. BruceCullen.Com grants you a limited license to access and make personal use of this site and not to download or modify it, or any portion of it, except with express written consent from our company. This site or any portion of this site may not be reproduced, duplicated, copied, sold, resold, visited, or otherwise exploited for any commercial purpose without express written consent from our company. Any unauthorized use terminates the permission or license granted by BruceCullen.Com. You shall not use our company logo or other proprietary graphic to link to this Site without the express written permission of BruceCullen.Com. Further, you may not frame any trademark, logo or other proprietary information, including the Images Content, without our express written consent. YOUR USE OF THIS SITE IS AT YOUR SOLE RISK. THE SITE IS PROVIDED ON AN “AS IS” AND “AS AVAILABLE” BASIS. WE RESERVE THE RIGHT TO RESTRICT OR TERMINATE YOUR ACCESS TO THE SITE OR ANY FEATURE OR PART THEREOF AT ANY TIME. BruceCullen.Com EXPRESSLY DISCLAIMS ALL WARRANTIES OF ANY KIND, WHETHER EXPRESS OR IMPLIED, INCLUDING BUT NOT LIMITED TO THE IMPLIED WARRANTIES OF MERCHANTABILITY AND FITNESS FOR A PARTICULAR PURPOSE AND ANY WARRANTIES THAT MATERIALS ON THE SITE ARE NONINFRINGING, AS WELL AS WARRANTIES IMPLIED FROM A COURSE OF PERFORMANCE OR COURSE OF DEALING; THAT ACCESS TO THE SITE WILL BE UNINTERRUPTED OR ERROR-FREE; THAT THE SITE WILL BE SECURE; THAT THE SITE OR THE SERVER THAT MAKES THE SITE AVAILABLE WILL BE VIRUS-FREE; OR THAT INFORMATION ON THE SITE WILL BE COMPLETE, ACCURATE OR TIMELY. IF YOU DOWNLOAD ANY MATERIALS FROM THIS SITE, YOU DO SO AT YOUR OWN DISCRETION AND RISK. YOU WILL BE SOLELY RESPONSIBLE FOR ANY DAMAGE TO YOUR COMPUTER SYSTEM OR LOSS OF DATA THAT RESULTS FROM THE DOWNLOAD OF ANY SUCH MATERIALS. NO ADVICE OR INFORMATION, WHETHER ORAL OR WRITTEN, OBTAINED BY YOU FROM GE OR THROUGH OR FROM THE SITE SHALL CREATE ANY WARRANTY OF ANY KIND. GE DOES NOT MAKE ANY WARRANTIES OR REPRESENTATIONS REGARDING THE USE OF THE MATERIALS ON THIS SITE IN TERMS OF THEIR COMPLETENESS, CORRECTNESS, ACCURACY, ADEQUACY, USEFULNESS, TIMELINESS, RELIABILITY OR OTHERWISE. You agree not to disclose information you obtain from us and or from our clients, advertisers, suppliers and forum members. All information submitted to by an end-user customer pursuant to a Program is proprietary information of BruceCullen.Com. Such customer information is confidential and may not be disclosed. Publisher agrees not to reproduce, disseminate, sell, distribute or commercially exploit any such proprietary information in any manner. Failure of the BruceCullen.Com to insist upon strict performance of any of the terms, conditions and covenants hereof shall not be deemed a relinquishment or waiver of any rights or remedy that the we may have, nor shall it be construed as a waiver of any subsequent breach of the terms, conditions or covenants hereof, which terms, conditions and covenants shall continue to be in full force and effect. This Agreement shall be governed by and construed in accordance with the substantive laws of http://www.BruceCullen.Com, without any reference to conflict-of-laws principles. The Agreement describes and encompasses the entire agreement between us and you, and supersedes all prior or contemporaneous agreements, representations, warranties and understandings with respect to the Site, the contents and materials provided by or through the Site, and the subject matter of this Agreement. Any dispute, controversy or difference which may arise between the parties out of, in relation to or in connection with this Agreement is hereby irrevocably submitted to the exclusive jurisdiction of the courts of http://www.BruceCullen.Com, to the exclusion of any other courts without giving effect to its conflict of laws provisions or your actual state or country of residence.